REUTERS/Larry DowningU.S. President Barack Obama pauses while he addresses the Democratic National Committee’s annual Women’s Leadership Forum at the Marriott Marquis Hotel in Washington, September 19, 2014. After voters head to the polls on Tuesday, two of the top items on President Barack Obama’s agenda are appointing a new attorney general and taking executive action on immigration. 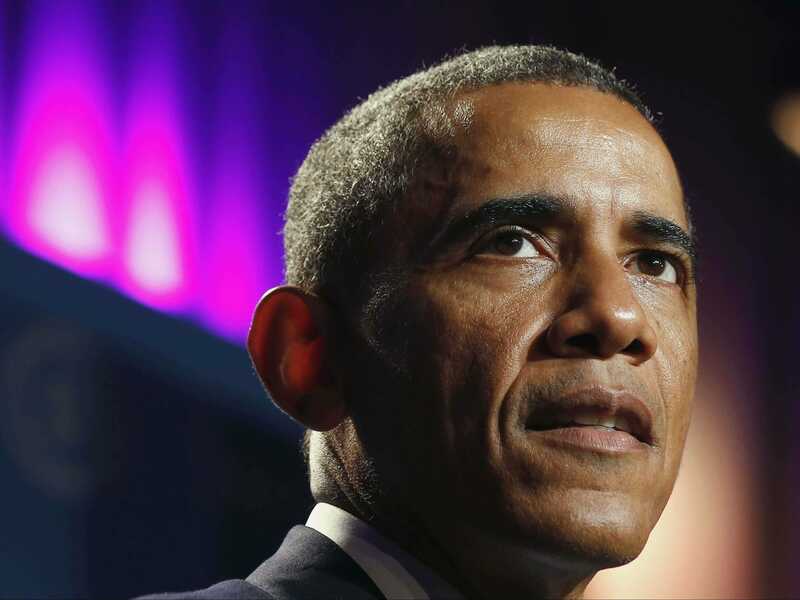 And on both fronts, Obama is facing pressure from Latino leaders. There have been four people regularly cited as top candidates for the attorney general job in the wake of Eric Holder’s decision to step down from the post — Brooklyn U.S. Attorney Loretta Lynch, Labour Secretary Tom Perez, deputy secretary for the Department of Homeland Security Alejandro Mayorkas, and Solicitor General Donald Verrilli. Influential Latino leaders have increasingly been lining up to express support for Perez, whose parents emigrated from the Dominican Republic, to get the nomination. Last week, the Congressional Hispanic Caucus announced their endorsement for Perez. The National Hispanic Leadership Agenda has also thrown its weight behind Perez. At the same time, there is what CBS News described as “festering resentment” among Latino voters and activists over Obama’s decision to delay immigration reform until after the election that may play a role in the president’s pick for attorney general. However, there’s increasing speculation the election will go into overtime, and the Senate majority may be decided by runoffs in Georgia and Louisiana. Obama’s initial decision to delay immigration reform has been widely attributed to a desire to pressure Democratic candidates, including Louisiana’s incumbent Sen. Mary Landrieu, who feared backing him on the issue would hurt their chances. A runoff in Louisiana, which would be held next month, or Georgia, which would take place in January, could force Obama to further push back an executive order for immigration reform. In that case, or if Obama’s immigration action is viewed as insufficient by Latino leaders and activists, the consultant suggested it could push the president to nominate Perez or Mayorkas, who is Cuban-American. “If he does something that is more tepid or he delays it because of a runoff … then people are going to be in a really bad mood and the appointment of a Latino attorney general might be more important symbolically,” the consultant explained. While both Mayorkas and Perez could help Obama appeal to Latino voters, Perez has drawn far more support from Latino leaders. In addition to the endorsements, several prominent Latino politicians are publicly praising Perez. Last week, Housing and Urban Development Secretary Julian Castro told Business Insider Perez would be an “outstanding” choice. 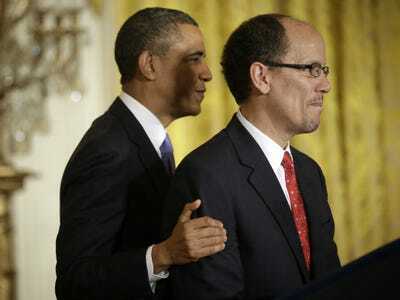 APPresident Obama announcing his decision to nominate Thomas Perez for labour secretary in March 2013. Rep. Xavier Becerra similarly said Perez would bring “tremendous skills” to the Department of Justice in a conversation with Business Insider. Becerra also noted that, as Secretary of Labour and former Assistant United States Attorney General for the Civil Rights Division, Perez already survived the Senate confirmation process twice, which could make him an appealing option if, as is widely expected, Obama has to get his nominee through a Republican Senate majority. “You’re talking about a guy who’s been twice confirmed in the Senate now, who has served in two very important departments in the federal government, who has excelled and shown himself to be eminently qualified as an attorney,” Becerra said. For its part, the Obama administration seems to be holding its cards close to the vest. White House spokesman Eric Schultz declined to comment when Business Insider asked him whether the immigration reform issue could affect Obama’s deliberations about a new attorney general. “We don’t have any personnel updates, and are certainly not going to speculate on any decisions before the President makes them,” Schultz said.